Health Trackers May Be the Rage, But How Useful Are They? For months, technology entrepreneur Will Imholte was hell-bent on finding the best personal activity tracker. Rather than browsing reviews, he decided to test the Jawbone UP, Fitbit Flex, Nike FuelBand SE and a litany of others to track his calorie count and weight. But all these devices failed to sustain his interest for more than a week. Despite his best efforts, Imholte gave up on the burgeoning wearable trend. He found that a smartphone and a time-keeping Swiss watch were more than sufficient for his purposes. “I’m a nerd that can’t get enough of the latest gadgets,” said Imholte, the founder of Prime, a startup that helps patients access their personal medical records. Wearables are currently the darling of Silicon Valley and the majority of them, right now, are health devices, or have some wellness application. The new consumer electronics tools are allowing people to become their own researchers, trainers and medical advisers by monitoring such things as sleep, activity, heart rate and stress levels. But no one has quite nailed the technology just yet. Amid all the hype, it’s easy to forget that this technology is still in its infancy. For now, most of the devices on the market are glorified pedometers with a high price tag and short battery life. The current slew of wrist bands, like the $99.95 Fitbit Flex or $299 Samsung Galaxy Gear smartwatch, are the first generation, with more sophisticated models still under development. Most devices today are adept at collecting data, but they fail to provide consumers with valuable health-related insights. For Imholte, the data piqued his interest -- he said it was intriguing to learn that he walked 1,000 steps on Monday -- but only temporarily. Ultimately, he was disheartened by the lack of practical advice about how he could improve his health and fitness, without significantly altering his lifestyle. For all their limitations, technology investors have gone gaga for wearable devices. Investors poured $570 million into the space in 2013 alone, according to research firm CB Insights. On Kickstarter, a team asked for $100,000 to build a new smartwatch called Pebble, and were stunned when backers invested over $10.2 million. Wearable devices are nothing new. For years, athletes have used basic activity trackers to help them train for competitions. But, unlike today, those devices did not connect with your smartphone and thousands of health-related apps. The current wearables craze was fueled, in part, by members of the “Quantified Self” movement, who strive for self-understanding by collecting data about themselves. In cities across the U.S., some 30,000 quantified selfers regularly meet up to trade tips and tricks about the latest health-tracking tech. But this year, wearables will no longer be the domain of athletes, fitness junkies and early adopters. Market research firm Canalys predicts that in 2014 companies will ship some 17 million wearable bands. “Having a computer on your wrist will become increasingly common,” said Canalys analyst Daniel Matte, in a statement. To prepare for a stroll in San Francisco, Rachel Kalmar straps over two-dozen gadgets to her wrist and forearms. When I first met Kalmar, she was wearing 22 clip-on activity trackers, including the Pebble, Fitbit Flex, Bodymedia and (my personal favorite) an antique pedometer from 1877. Now she has 27 trackers for both Android and iOS monitoring her every waking move. Kalmar isn’t a member of the cult of the quantified self, obsessed with tracking her bodily metrics. For Kalmar, it’s all in pursuit of research. For her day job, she’s a data scientist at Misfit Wearables, maker of the Shine, futuristic jewelry that is popular with young women. 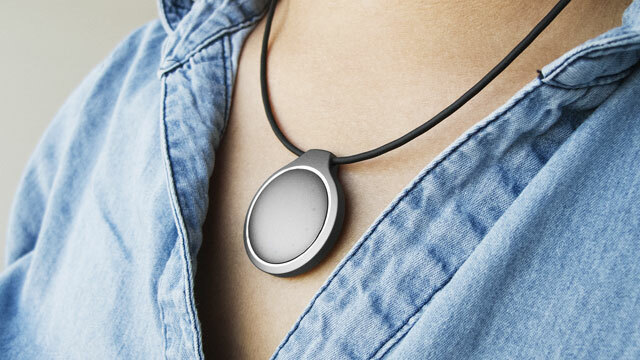 The Shine acts as an activity monitor, sleep tracker and watch all in one. It can be worn as a necklace or on a clasp. Kalmar’s been wearing them every day for months, but she hasn’t derived ample benefit from these trackers — and doesn’t expect that you will either. “I thought it would be a week-long project, but then it started getting more and more complicated,” she said. Like Kalmar, Misfit chief executive Sonny Vu is one of the most vocal critiques of the wearables trend. He frequently speaks at conferences and describes these devices as “not that wearable -- yet." The key challenge Kalmar’s unearthed is that the devices don’t speak to each other. When it comes to the human body, data about your steps, heart rate, sleep cycle and glucose levels don’t mean much in isolation. But that’s not an easy prospect for the still-nascent wearables trend. “I mean, Christ, we can’t even all agree on how to treat time zones in our data and databases,” Kalmar quipped. Kalmar hasn’t given up on wearables altogether — far from it. For now, she hopes that the Shine and other devices will inspire people to be more active. And she expects that the field will figure out how to make them more useful. 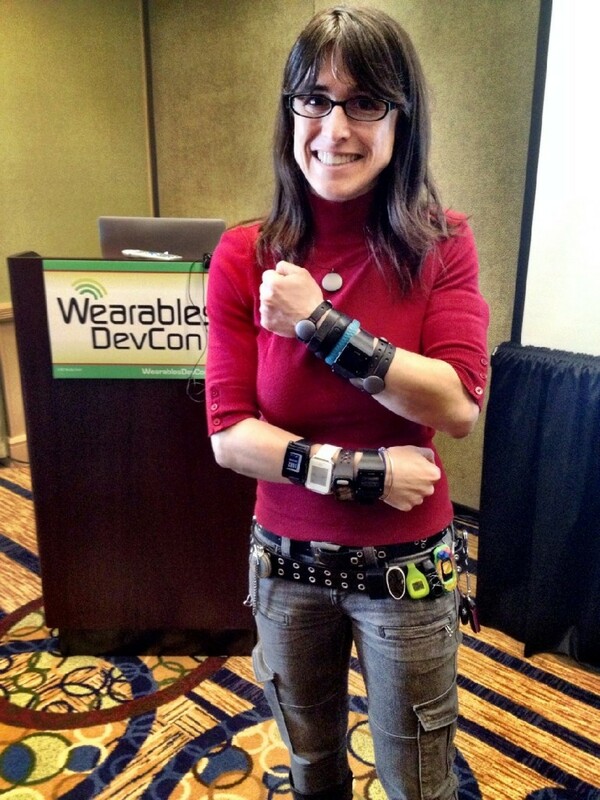 "I think of wearables today like the first cell phone cameras, which sucked,” she said. In an interview from Misfit’s Vietnam offices, Kalmar offered several predictions for the future of wearables: The devices will eventually allow us to interact with other objects in our lives. (Imagine turning off your thermostat or unlocking your front door with a few taps of a smart watch.) Wearables will also increasingly be used to monitor patients with chronic health conditions. And they won’t be mostly bands; health-related smart glasses, sports bras and shoes are among the next generation of wearable sensors. Another key to longevity, for wearable computers, will be to keep the attention of Silicon Valley's technology behemoths. “I’m excited about what Apple is going to do next," said Tommy Leep, an investor at San Francisco’s Rothenberg Ventures. Unlike many of his counterparts, he has not invested in a wearable. But he is keeping a close eye on the space, as he believes that wearable tech is one of less than a handful of emerging platforms that have the potential to be the next big thing. “Wearables in and of themselves aren’t hugely exciting right now,” he said. Leep said he hasn’t personally seen many gadgets that are a significant step beyond the iPhone, the smart computer already in millions of pockets. “That said, many of us believe that mobile technology has seen its day. Wearables might be what’s next." Christina Farr is a San Francisco journalist covering health technology. She previously wrote for Venture Beat, The Bay Citizen and SFGate.